With the introduction of tougher GCSEs in English language, English literature and mathematics this year, results have to be viewed against a backdrop of continuing national changes in education – yet 62 per cent of St Helens students secured standard passes in English and maths, compared to 60 per cent in 2016. There were impressive performances at several local schools, particularly at The Sutton Academy, which is celebrating its best ever set of GCSE results after 69 per cent of students achieved grades 4-9- in mathematics, and 69 per cent in English – much to the delight of its principal, Alison Sherman. Alison said: “We are absolutely delighted with these results. Over the last three years there have been significant changes and improvements here at the academy, this has led to this excellent set of GCSE results. “However, such results are only achieved when staff and students work together with determination and commitment. Elsewhere, there was also an improvement at Cowley International College, where 65 per cent of students achieved grade 4 or above in GCSE English and GCSE mathematics – an increase on last year’s performance when 60 per cent achieved an equivalent grade C or above in GCSE English and GCSE mathematics. While over at Rainford High Technology College, that measure improved from 79 per cent in 2016 to 82 per cent this year; and at Rainhill High Media Arts College, that figure increased from 68 per cent to 71 per cent. 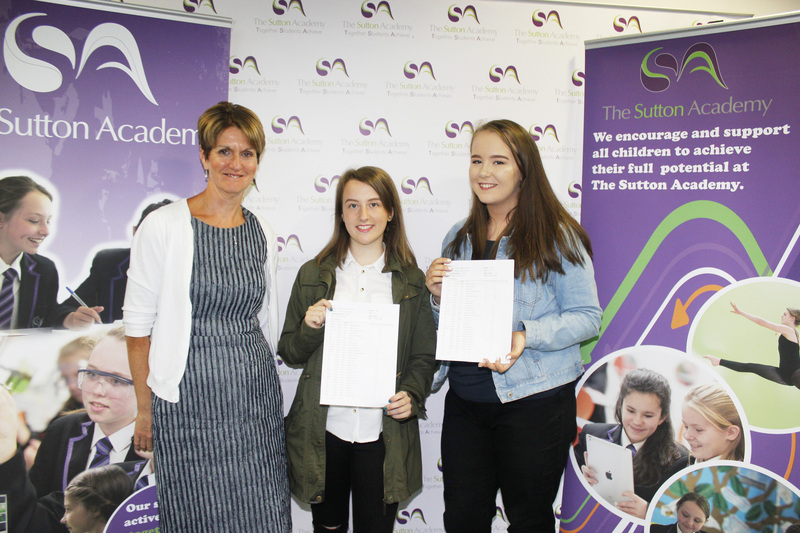 St Cuthbert’s Catholic High School also recorded impressive results, with 72 per cent of students achieving the standard pass in English and 58 per cent in maths. Catherine Twist, Headteacher of St Cuthbert’s, said “There have been concerns over numerical grading and questions about a system that will have two different types of pass grade, but today is the day when the St Cuthbert’s family celebrate our students’ last five years with us and all their achievements. “We wish them the best of luck as they move on and encourage them to continue to “Live life in all its fullness.” As we adjust to a different style of qualification, I am delighted with this year’s results and look forward to continuing on our journey to outstanding”. Praising students on their achievements, St Helens Council’s Cabinet Member for Education, Councillor Jeanette Banks, said: “I’d like to congratulate all those students across the borough who have worked so hard to achieve this fantastic set of results. “I wish everyone all the very best in their future endeavours, whether that is through further education, training, or entering the world of work. Attainment at GCSE level in St Helens secondary schools is also measured by a new performance metric, Attainment 8. In broad terms, that measure reflects the achievement of a student across eight qualifications, measuring a student’s average grade across those subjects. This year, the overall Attainment 8 score for St Helens is 44 per cent, reflecting the dip in this measure nationally this year.